Your Voice. Your Vote. Your Future. Voting is one way to live the YWCA mission to eliminate racism, empower women and promote peace, justice, freedom and dignity for all. 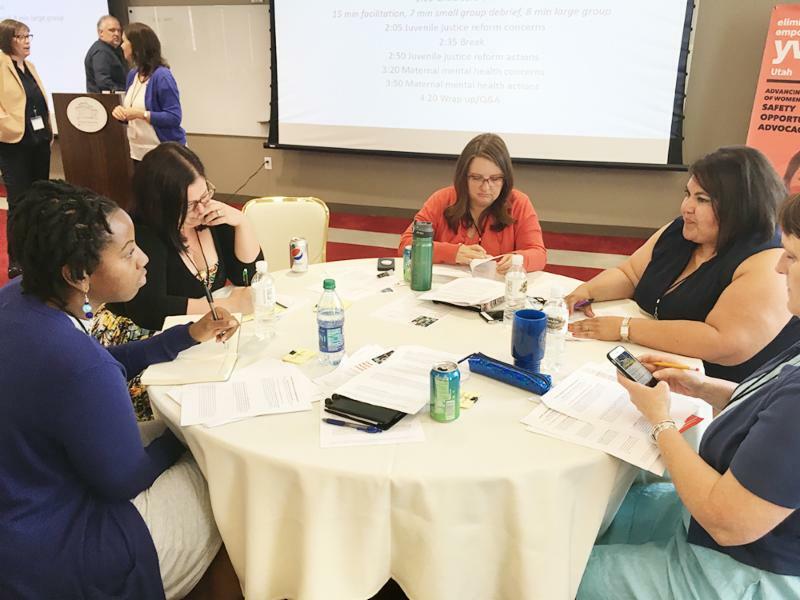 YWCA Utah is part of the national YWCA campaign to register 10,000 people for the 2018 elections. Get your friends and family registered. Lend your support locally through a candidate event, voter education, and on social media. Host your own voter registration drive! Print out our signs, hand out pledge cards, and get going! SHOW UP ON ELECTION DAY AND VOTE! Want to purchase a Your Voice. Your Vote. Your Future. t-shirt? We have limited stock, order now. 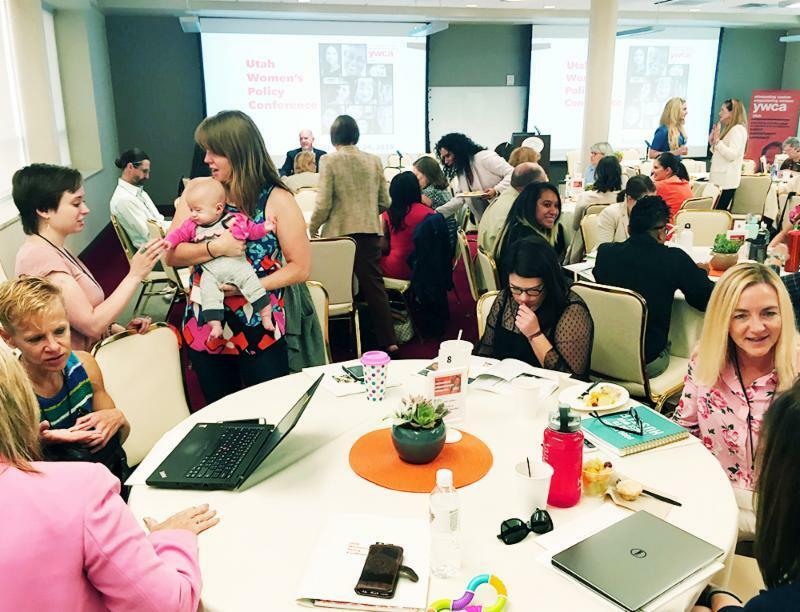 Thank you to everyone who joined us on August 22-24 for the Utah Women’s Policy Conference – the first and only statewide policy conference focused entirely on issues that impact women and girls in Utah. 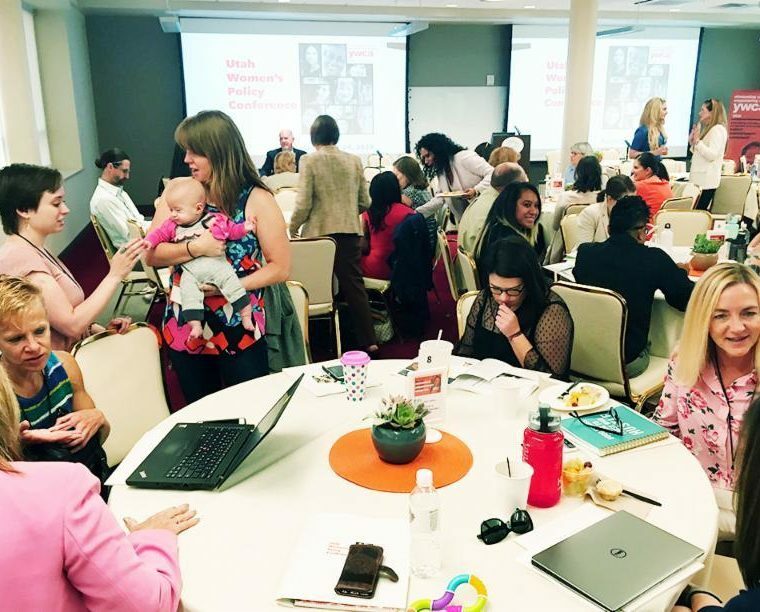 Over 100 YWCA members, stakeholders, and advocates participated in a unique discussion format focused on YWCA policy priorities. 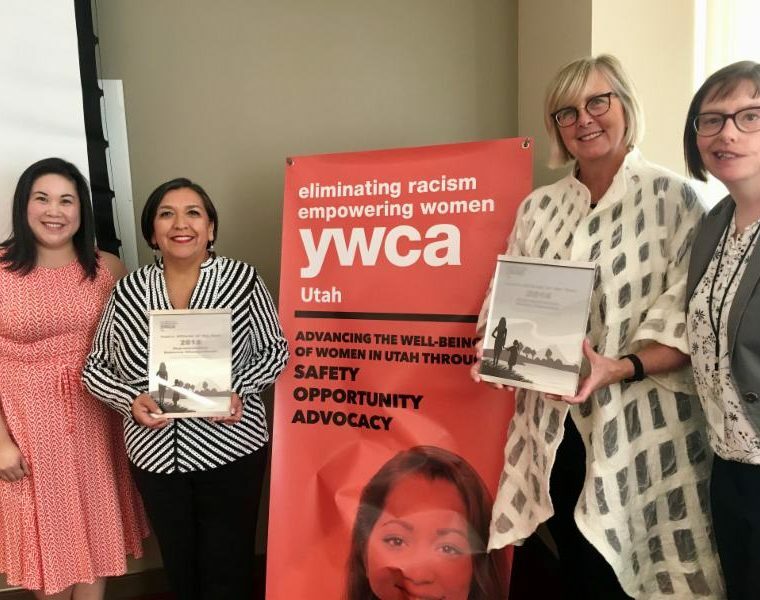 The YWCA and Institute for Women’s Policy Research (IWPR) released The Well-Being of Women in Utah in 2018 Fact Sheet. 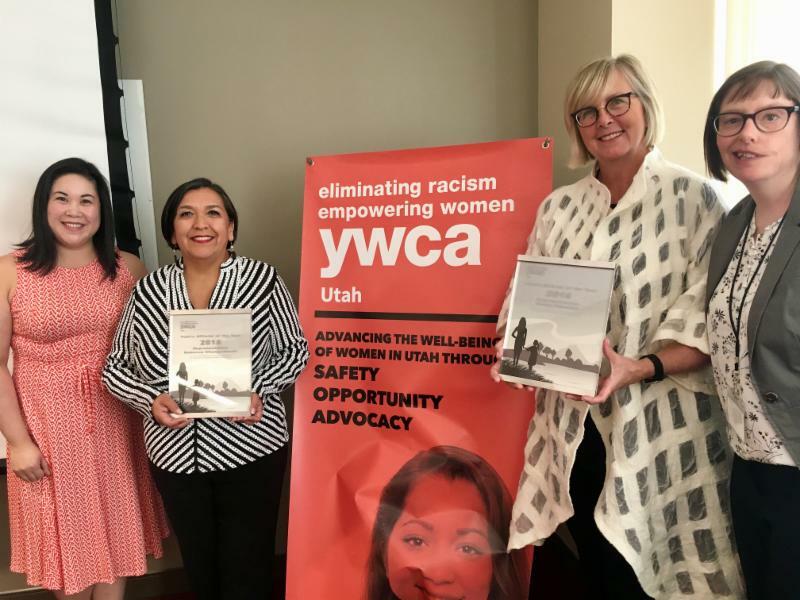 We were also proud to present the 2018 Public Official of the Year award to Representative Rebecca Chavez-Houck and Representative Becky Edwards for their leadership and support of Utah women and families. 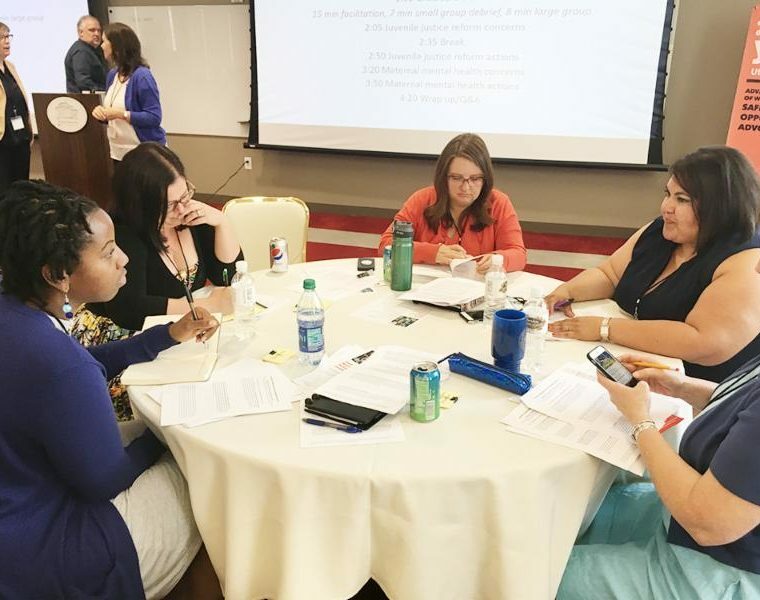 At the federal level, YWCA USA continues to advocate for various policy priorities, including ensuring that funding associated with the Violence Against Women Act is extended until H.R.6545 , the Violence Against Women Reauthorization Act of 2018, is passed. 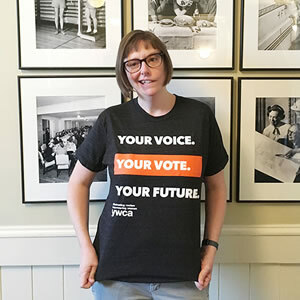 YWCA USA also launched the #YWomenVote campaign today to engage voters. Learn more and stay up-to-date by following @ywcausa , and use your voice with the Action Center.